According to a study that surveyed 15 metropolitan areas across the county, the average wait time for a new patient to see a physician is 19.5 days. Same-day appointments can be practically unattainable without an emergency room or urgent care visit where the average wait time is two hours! Luckily, there is a new solution. Fresno Unified School District health plan members have access to PlushCare; a telehealth service brought to you by TeamCare. PlushCare connects you to board certified physicians, all of whom have been trained at 25 top ranking medical schools including Stanford University, University of California – San Francisco, and University of California – Los Angeles. PlushCare is simple and convenient. By videoconferencing with a doctor, he or she will diagnose your health issue and provide recommended treatments based on your symptoms. If appropriate, the doctor can write a prescription and have it sent immediately to the pharmacy of your choice. Fresno Unified plan participants have most commonly used PlushCare for respiratory conditions, urinary conditions and skin conditions. In fact, over one-third of the appointments were scheduled for respiratory conditions. Most plan participants using PlushCare call the service 3-5 times per year. 1. Call (866) 460-6205, go online at www.plushcare.com, or download the PlushCare app. First time users will need to register. You will need to provide your name, date of birth, email address, and create a password. It only takes a couple of minutes. Register today! 2. Select “Book Appointment” and choose which physician you wish to talk with at a time that is convenient for you. 3. The doctor will contact you at your scheduled appointment time. 4. 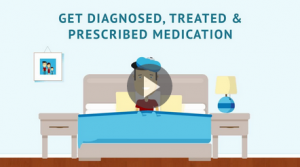 If necessary, prescriptions will be sent to your pharmacy in seconds! As a Plan Option C participant, Kaiser Permanente provides you with a myriad of ways to manage your health. 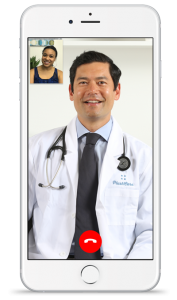 If you are pressed for time and/or prefer to meet with your physician via video, you can schedule an appointment in minutes by phone or using your mobile phone or computer. You can also email your physician, view lab results, and refill prescriptions. * – Available for Adult and Family Medicine, Women’s Health, Pediatrics and Optometry. Video visit not available for Optometry. Kaiser Permanente recommends that you download the KP My Doctor Online app which can help you take wellness to the next level. It’s available as a free app for the iPhone, iPad, or iPod Touch, as well as Android-powered phones. As a KP member, you can get personalized alerts about the care you and your family need to stay healthy; receive health screenings and immunization notices, seasonal health tips from our physician experts, and appointment information and reminders to get good health on the go.